Q. Does the library have image databases? 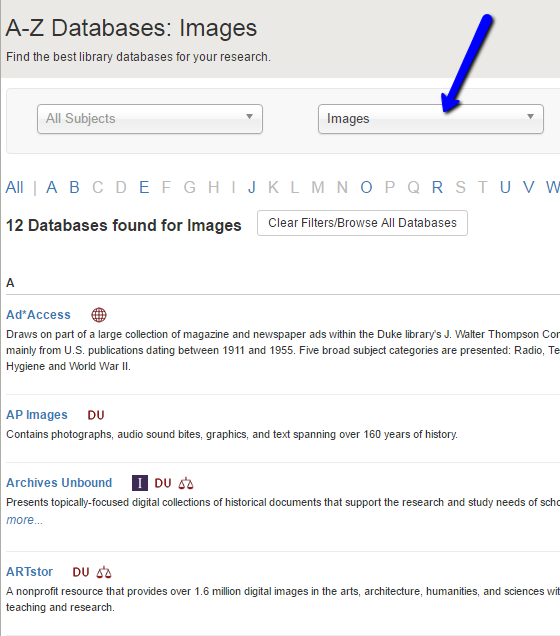 Quickly and easily navigate to the library's image databases. Yes, we subscribe to various image databases. 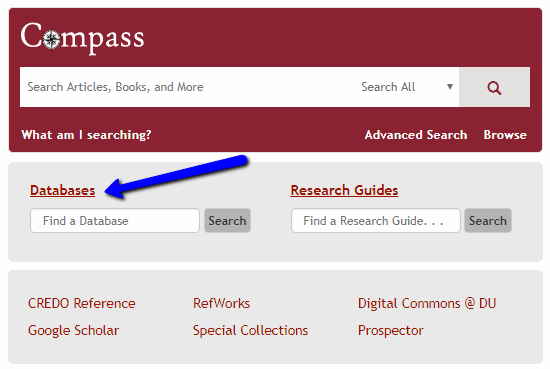 To find these, first click on the "Databases" link located on the library's homepage. This will take you to a listing of our databases. Click on the drop down menu titled "All database types," and select "Images." AP Images offers photographs from the Associated Press back to the 19th century. ARTstor, although first established to provide access to high-quality arts and architecture images, has grown to include garden and landscape, maps, charts and graphs, and images of interest to the social sciences and sciences. Britannica Image Quest provides access to a wide variety of rights-cleared images for educational purposes across the disciplines. For more information about issues involving the use and citation of images, including additional image-rich databases, visit our Images research guide.